Store and carry your darts easily and securely with the Casemaster Elite Dart Case. 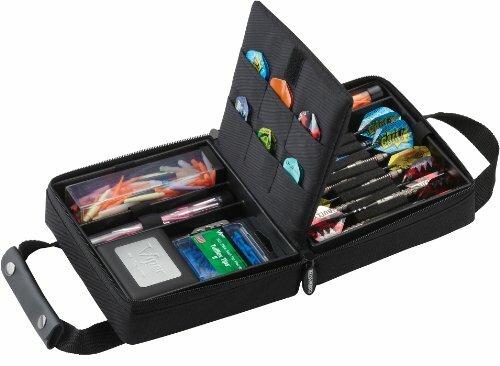 Designed for serious darters, this highly organized case is equipped with two cushioned foam inserts to hold your darts securely in individual slots. The case is also equipped with five storage tubes for accessories and an interior leaf with seven more pockets for accessories. The case opens up completely, like a book, so that you can view, access, and organize the contents easily. Constructed with a durable nylon exterior, the case keeps your darts dry and protected while maintaining a crisp, stylish look.